FLATBUSH – A 67-year-old woman was killed by an 18-wheel tractor-trailer as she was crossing the street. The driver left the scene. 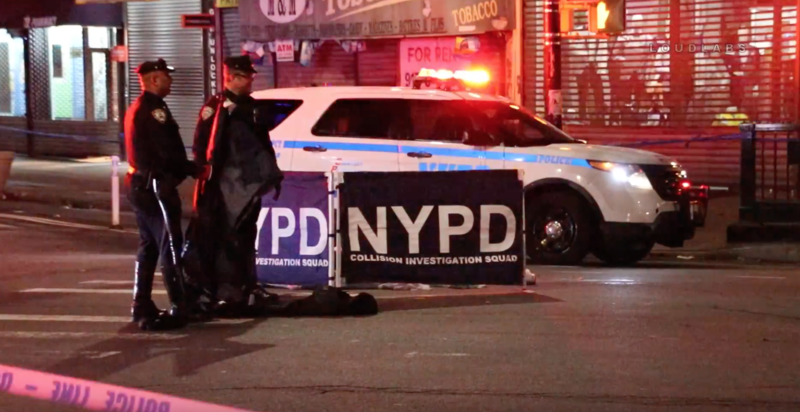 On Wednesday, April 3rd, at about 4:48 a.m., Linda Douglass was attempting to cross Flatbush Avenue at the intersection of Nostrand Avenue. She was about to walk east to west. At the same time, an 18-wheel flatbed tractor-trailer was traveling northbound on the intersection of Flatbush and Nostrand Avenues. The ginormous vehicle struck Douglass and the driver left the scene. According to the cops, because of the severe impact of the collision, Douglass was knocked to the pavement. She was found lying on the roadway within the south crosswalk area. She was unconscious and unresponsive with trauma to the body. She was pronounced dead at the scene. As of now, there have been no arrests made and the investigation is ongoing. Cops did release a video of the trailer and are asking the public to help identify the vehicle and driver. This is not the first hit-and-run this year. Just last month, a man was struck and killed by a car as he was crossing the street. The driver did not care to stay at the scene, drove away, and abandoned the car a few blocks away. At the beginning of March, 25-year-old Aurilla Lawrence was biking in Williamsburg, when a tanker truck ran over her and left the scene. In January, 27-year-old Fernando Trejo was crossing the street when an unknown vehicle struck him and left the scene. Like this victim, they were all killed.